Now, I am not a “sunglasses guy” as it relates to running. I wear sunglasses when I drive and outside from time to time but beyond that, I basically go “sunglasses free” so to speak. 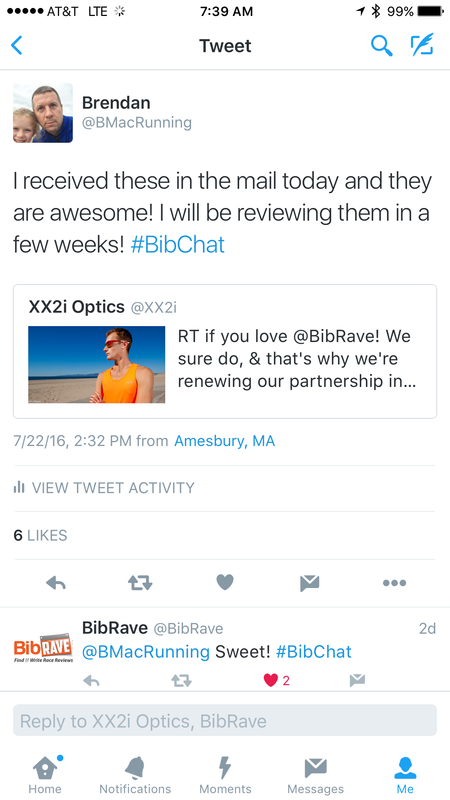 That was until recently when I picked up a “cheap” pair of sunglasses at BJs and wore them at the Runners World Classic a few weeks back (thinking the sun would be in full effect during the race) and had good results (I could see). Then I took the XX2i’s for a spin…well all I can say that my eyes were really opened! I have to do some research on sunglasses for this to get a comparison of sorts (which I am in the process of doing for the full review). Initial reactions from friends so far are very positive and said friends are “impressed.” One friend with Oakley’s liked them and his wife, who is a sunglasses “buff” liked them as well. Now that real test will be when I run with the tomorrow morning and the several times after that! I will follow up on that experience for sure. Look for the review in the next week. “Swimming in the rain…” I mean pool: Lately I have found myself at the pool with the kids, using a membership that I pay for but never use (like most of America). I started some water exercises the last few times and the body is starting to feel really good as a result. Thinking I will incorporate more of this into my daily routine! (And get my money’s worth of the membership) with the goal of a stronger core and overall better health! Birthday presents! Do you use “level up?” I do from time to time and with my birthday recently, everyone wants to give me free food (via the app)! Rio! The Rio Olympics look like they are going to be a disaster from a business standpoint – such a shame because there is so much potential there for success given the location but I guess everything else overshadows that! But wait…I mean weights? Been doing more weight training of late to strengthen the muscle like I did before my knee surgery years ago. Getting good results as I am getting a better push! Chat this! Participated in two chats last night but I found two others that I could have jumped on as well last night. I guess Sunday night chats are the thing to do! Destinations…Destination races are in vogue these days and I want to got to many places! But time is always and issue! Thinking Disney and Sedona! Well, that is about it. But before you go, a quick word from our sponsor! Next Post ﻿CR: Achilles, compression and foam rolling!